To provide individual and group counseling, education, individual evaluation, assessment, treatment planning, for persons with mental health substance use, and co-occurring disorders. 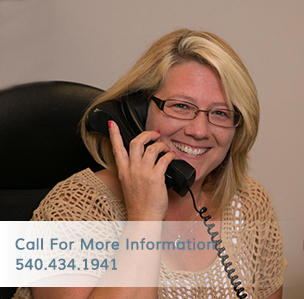 The Adult Outpatient Clinician is directly responsible to the Senior Manager of Adult Outpatient Services. He or she is expected to exercise considerable independence and autonomy in day-to-day decision-making related to the delivery of behavioral healthcare and to carry out those services on a daily basis with a minimum of supervision. The position requires expertise in the area of person- centered, evidenced-based treatment of substance use and mental health disorders, and the ability to work effectively with other service providers both within the Board system and within the community. Good judgment and the ability to maintain a high level of confidentiality are also required. a therapeutic relationship; ability to devise and conduct education and training programs for clients and service providers; ability to write concisely and effectively; demonstrated good judgment; good interpersonal skills. Computer literacy and work processing skills required. Graduation from an accredited college or university with a master’s degree in human services or related specialty, plus two years of experience in a mental health and/or substance abuse setting; OR any equivalent combination of experience and training which provides the required knowledge, skills and abilities. Must be professionally licensed (LPC or LCSW). Staff member is responsible submitting an active license at time of hire and annual proof of license renewal to the Human Resources office. Work Hazards: Standard hazards associated with treatment programs. Work Schedule: Monday through Friday, regular office hours; some evening hours required as scheduled. Additional hours as needed to perform job requirements. Regular attendance is required.